My daughter, Hannah and I enjoy spending “girl’s only” time together and one of our favorite things to do is to let her watch a bit of the PBS show Downton Abbey with me. 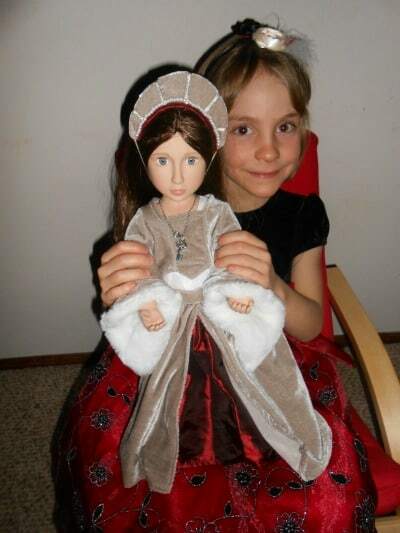 She loves the strong female characters and the beautiful period costumes so I knew that she would really enjoy the doll collection from the British boutique company, A Girl for All Time®. What I didn’t expect is that she would absolutely adore it! I have been bewildered for years as to why my daughter would rarely play with dolls and I realize now that it is because I hadn’t yet found just the right doll for her……until she met her new best friend, “Matilda”. 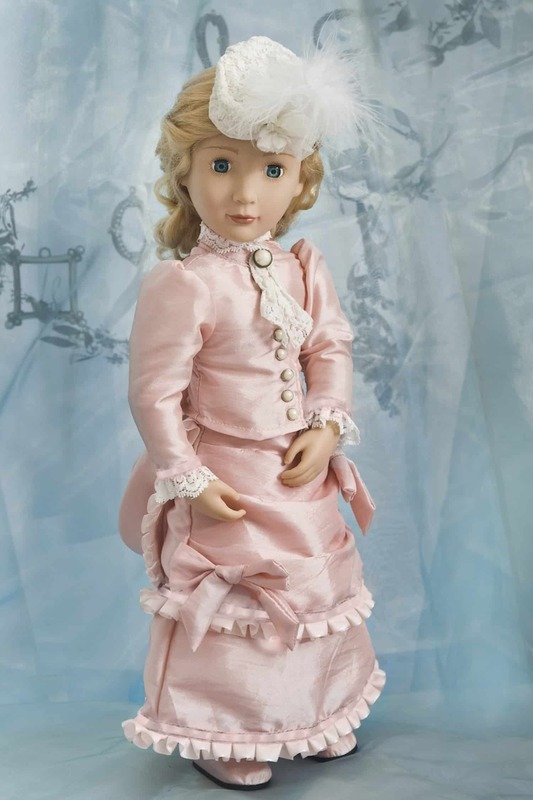 A Girl for All Time® takes girls back in time exploring British history with the fictional Marchmont family over a 500 year time period with a line of collectible dolls, novels, accessories, tea sets, keepsake books and more. “Amelia” and “Matilda” were designed by popular London fashion designer, Katya Wildman and Emmy nominated costume designer, Caroline Harris. Each doll is beautifully crafted using both traditional hand-sculpting techniques and modern computer technology so that the doll looks like fine porcelain yet is actually made of vinyl. While the doll shows nicely on the website, you really do have to see the doll up close to appreciate how stunning it is as it truly looks like a collectible doll that belongs untouched in a showcase yet it is actually ready for years of play! When Hannah was presented with Matilda, Your Tutor Girl™ ($134.99) her eyes widened and she became overcome with joy declaring that she “loves her new friend”. 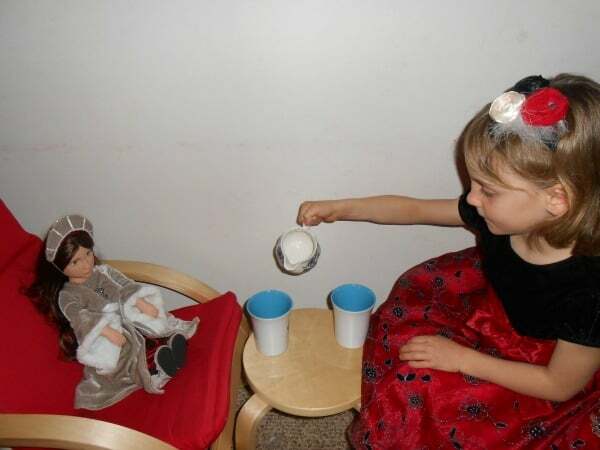 She immediately began to set up the perfect “tea party” with Matilda and spent the next two hours playing with her new doll. While Matilda is a collectible doll, I appreciate that she is also meant to be played with as she has a durable vinyl for a realistic 16” body with articulated elbows and knees so she can be posed too. The attention to detail is exquisite as Matilda has beautiful brunette hair and lovely eyes and facial features. Her period costume dress (designed by her cousin Katherine Howard) is stunningly made of grey velvet with a plum kirtle and coordinating headdress. She even has period underclothes and a petticoat. 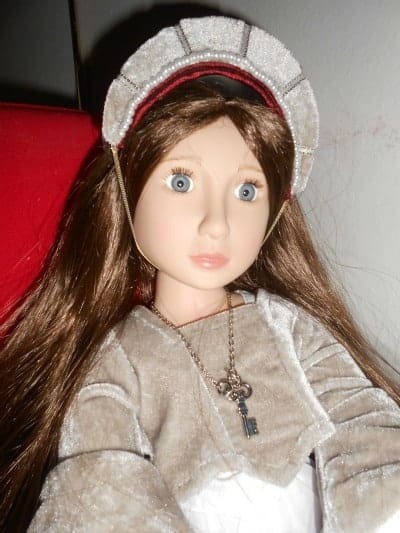 My daughter loves the silver key necklace which just adds to the doll’s overall beauty. In the paperback novel, Matilda’s Secret ($9.99) by Sandra Goldbacher, young readers will learn about 13 year old Matila Marchmont as she goes on exciting, dangerous adventures in the court of henry VIII including Hampton Court, the Royal Palace and the terrifying Bloody Tower. I read this book myself (my daughter is a bit too young) and was very impressed with how the author is able to weave a tale for young girls that is both exciting and historically intriguing. I will definitely save this book for Hannah when she is old enough to appreciate reading it. It is easy to understand why A Girl for All Time® is a proud Platinum winner of the “Best Doll” (2011, 2012) Oppenheim Toy Portfolio. This “magical” collection of dolls and novels is exceptional and it is sure to inspire girls of all ages to imagine themselves immersed in British history as they read exciting novels and play with their “friends”. I love to sit quietly and watch my young daughter, Hannah playing with her doll, Matilda. It is obvious that she is receiving much joy as she and her friend go on exciting adventures “back in time” and in modern day together. I expect that she and Matilda will be together for years to come and this doll is designed so well that I plan to store her away when the time comes and save her for my future granddaughters to enjoy years from now. You are invited to visit the A Girl for All Time® website to browse the entire collection of dolls, novels, keepsake books and accessories. A gift to a young girl from A Girl for All Time® is sure to be a well-loved treasure for the lucky recipient and you can purchase your favorites in the online shop. I would get Amelia’s Opera Cloak. I would like to get Amelia’s Stage/Ballet Costume, thanks! I’d like Matilda’s Night Shift. I would like the Matilda’s Masked ballgown. i would get amelias party dress! I would get the Amelia’s Party Dress. I would get Matida’s Masked Ballgown. I like Amelia’s Stage / Ballet Costume! I like the Party Dress. I like the ballet costume. Thanks for the chance. I would get the Amelia’s Stage / Ballet Costume!! I love Amelia’s Tea Set. How fun to use to have Tea Parties with!!! I would choose Amelia’s Stage/Ballet Costume.